Dr Fuller is the resident Weight Loss Expert for Channel’s 9’s TODAY EXTRA breakfast morning show. Following the huge success of Dr Nick Fuller’s first book - Interval Weight Loss - comes Interval Weight Loss For Life. This second book delves into the nitty-gritty of the Interval Weight Loss™ plan so that no barrier will bring you unstuck. 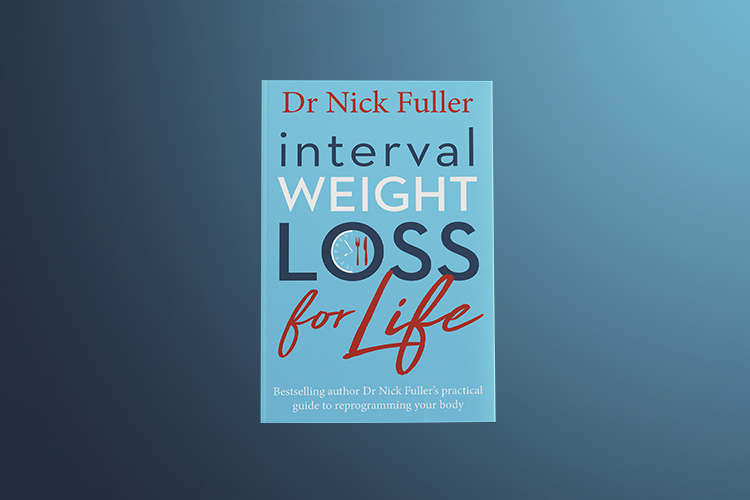 Bestselling author Dr Nick Fuller provides everything you need to succeed on your Interval Weight Loss™ journey, with a scientifically proven method to help you lose weight and keep it off. Dr Fuller explains how you can reprogram your body into believing it's at its new set point so that you not only become slimmer but you stay that way. Read up on Dr Fuller’s articles and opinion pieces from The Daily Telegraph. Check out some of our delicious recipes, designed with your health in mind. Keep track of your weight-loss over a 12 month period with this free recording chart. Sign up to receive weight loss tips, recipes and advice from Dr Fuller.